Character Grade is our most popular choice of solid oak flooring. It has a smoother grain and smaller less frequent knots than our rustic flooring range and virtually no heart splits. Our character grade oak flooring has a beautiful universal appeal, adding warmth and character to your home. Viewed in a room environment, there are subtle changes in tone, gradual changes in grain, and some dark knots. 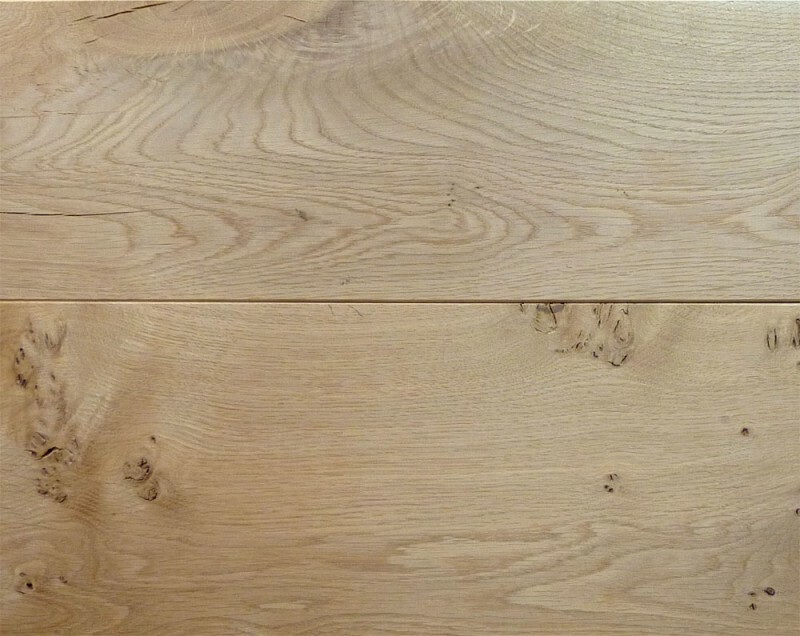 All our oak flooring is machined from oak planks to order, so allow a maximum of 10 days from order. Can be laid as a mixed width floor for a traditional feel. The flooring arrived and was delivered by a very helpful driver. It is great quality, lots of good character and fantastic value.